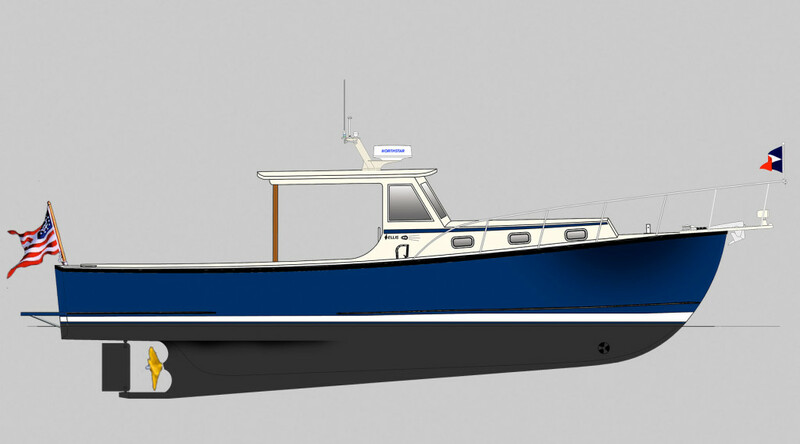 The Ellis 36 Express Cruiser with the Extended Cabin closely resembles the classic Bunker and Ellis boats that still navigate coastal Maine waters. This extended cabin configuration may suit your needs if increased cabin space is desired. 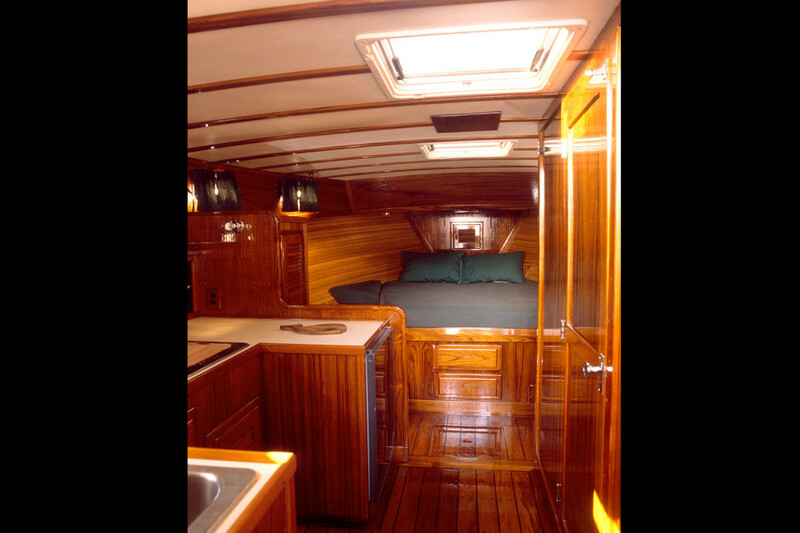 There is still ample room topside but enough room below for a full berth or extra accommodations. 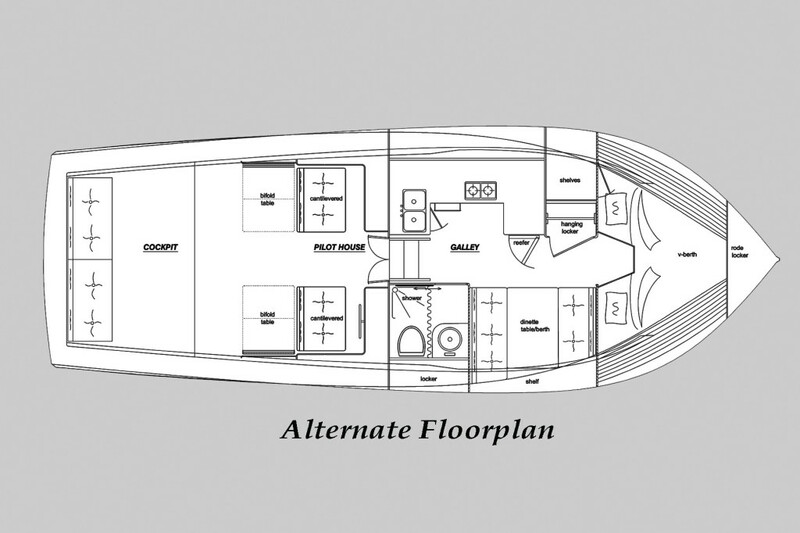 This is the standard floorplan for the Express Cruiser Extended Cabin. 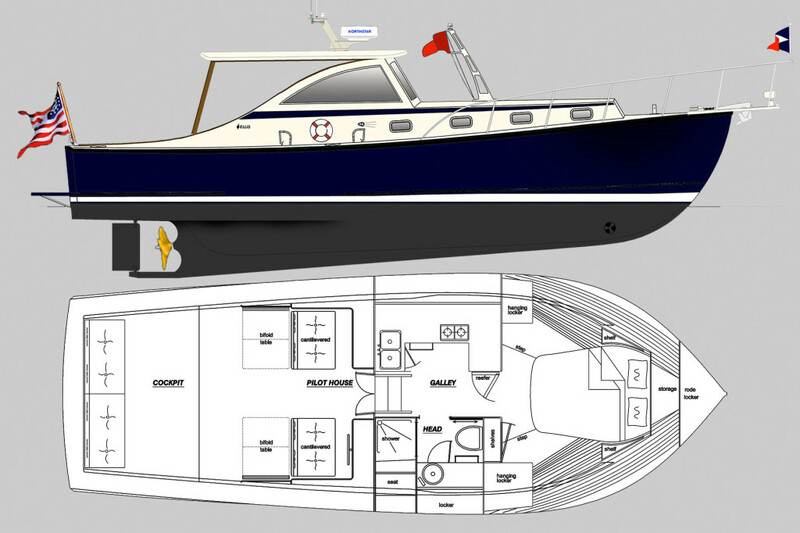 It features a full walk-around berth forward. 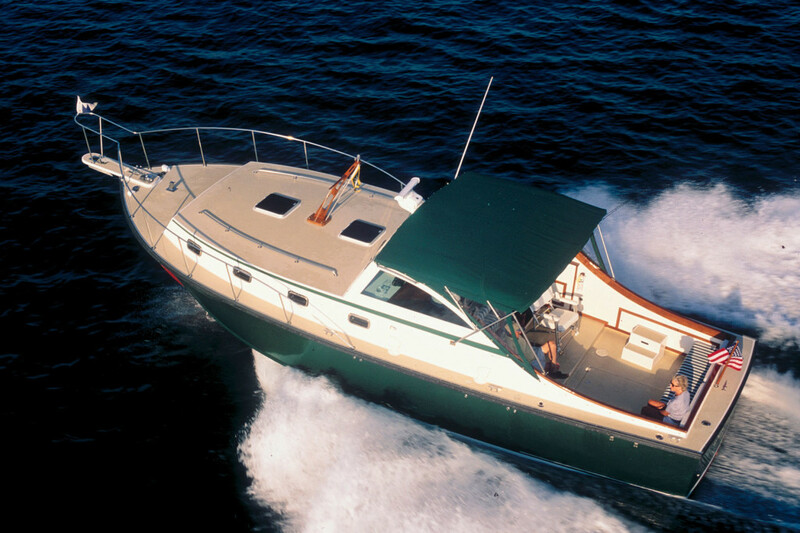 The Interior of an Ellis 36 Express Cruiser Extended Cabin gives you more space down below. 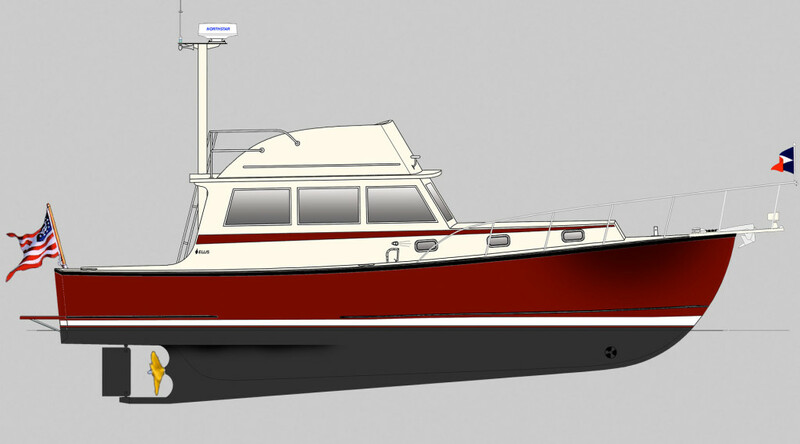 Here, the space is used for the walk-around berth. Also, seen here is a full-teak option. 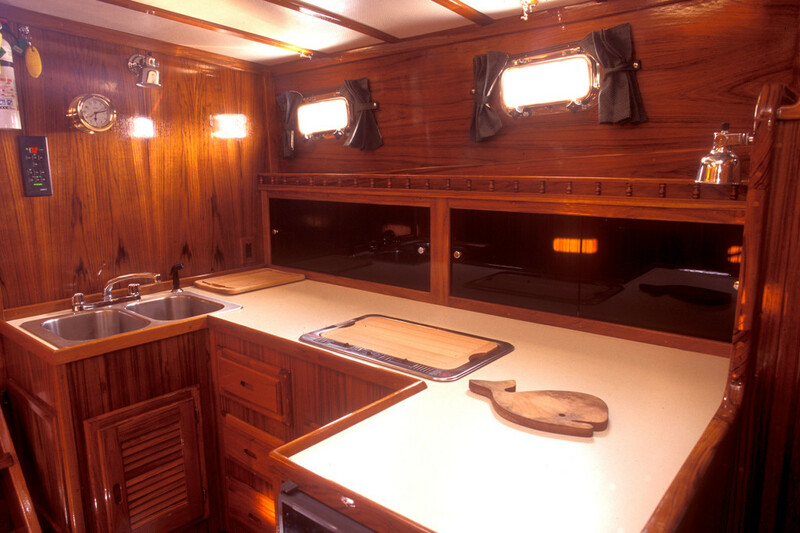 This galley was kept very simple. 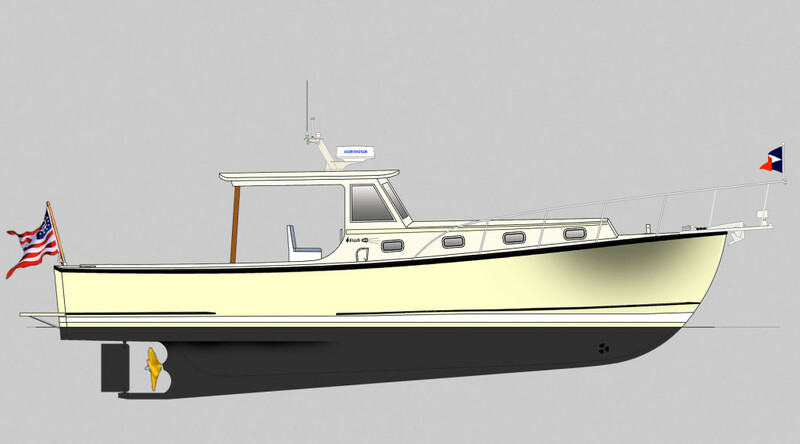 Common additions are an electric stove top, microwave/oven, custom storage, and a drop-in freezer. 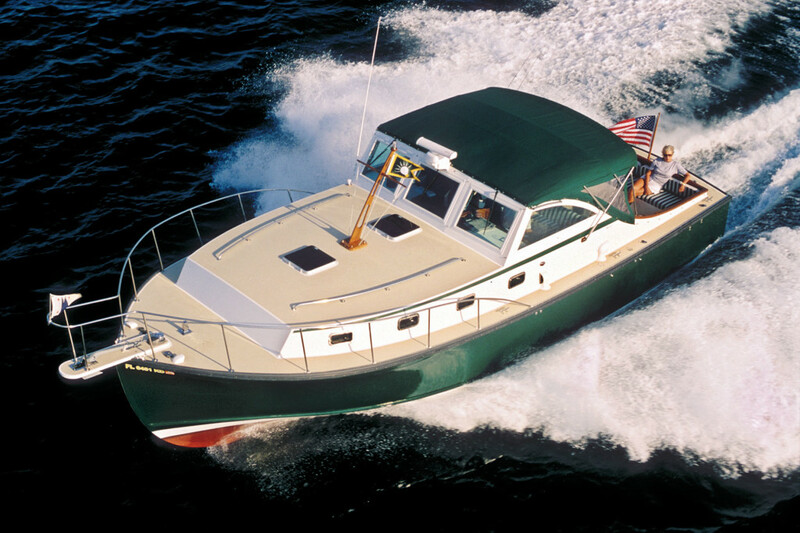 Ellis 36 Express Cruiser with the Extended Cabin - shown here with a soft-top option. 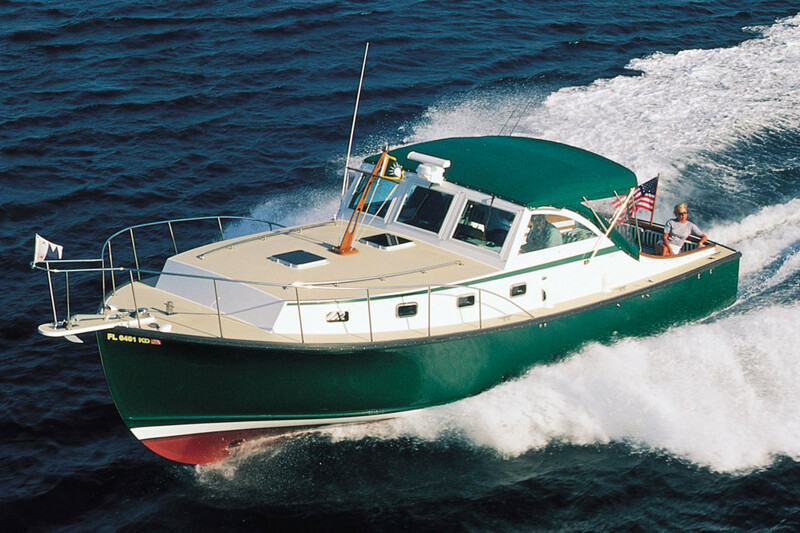 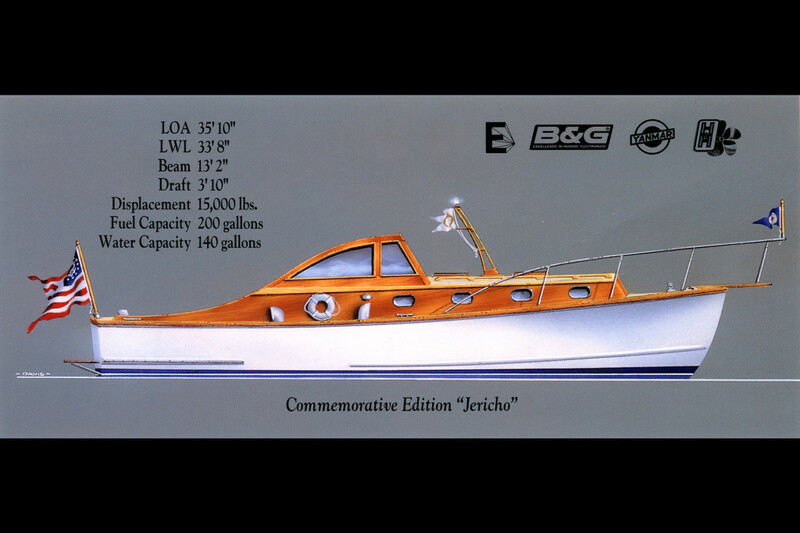 The Ellis 36 Jericho is a special model Ellis 36 Express Cruiser that features the extended cabin and an all-teak finish top-sides.